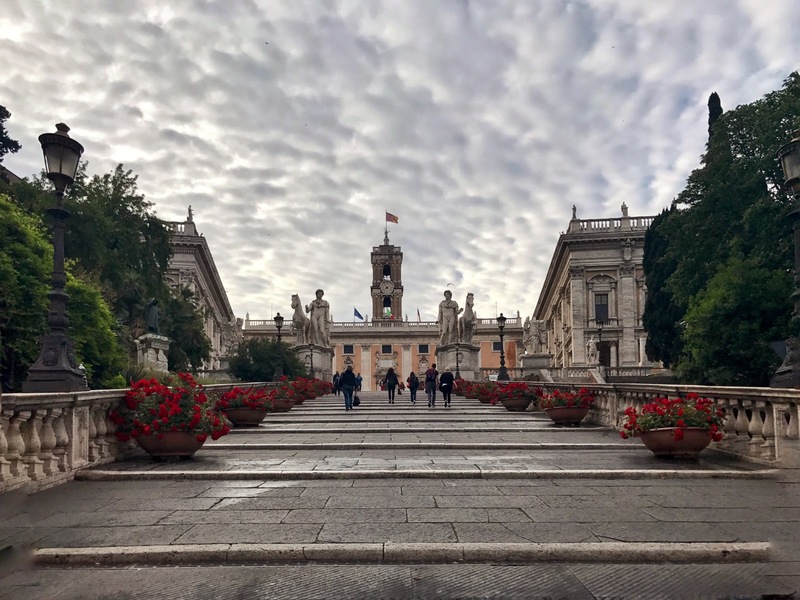 Looking for some photography tips for Rome? Ways to make your Rome photos stand out? 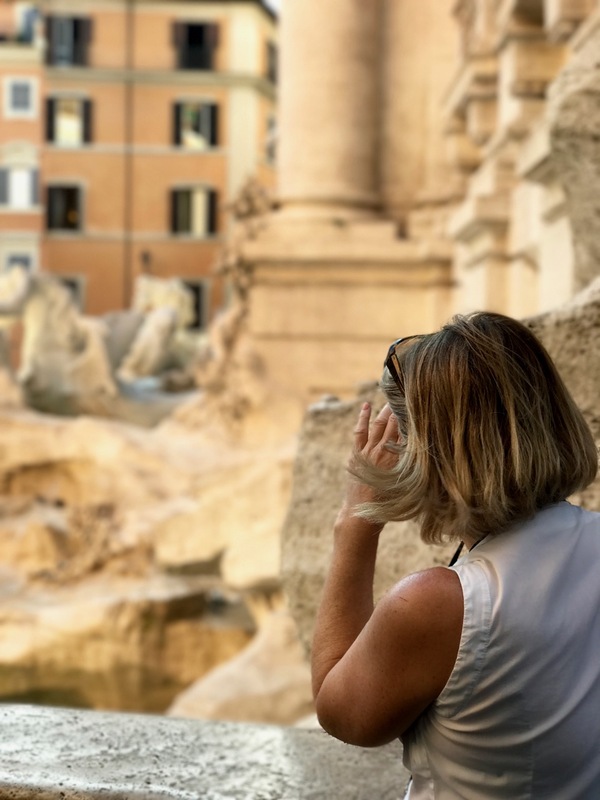 If you follow me on Instagram, you know I love taking pictures of all things Rome - from large monuments, to plates of cheese, to tiny details in churches to people. I can never get enough photos of the pantheon. There are endless possibilities! Want to take a course in digital photography and improve your pictures? Some of my pages have older, badly taken photos, just waiting for me to update them to better ones, which I will do! I am not a pro, by any means. But over the years, and after taking thousands of pictures of Rome in all kinds of weather, day and night, month after month, well, I’ve learned a lot about taking pictures in Rome. 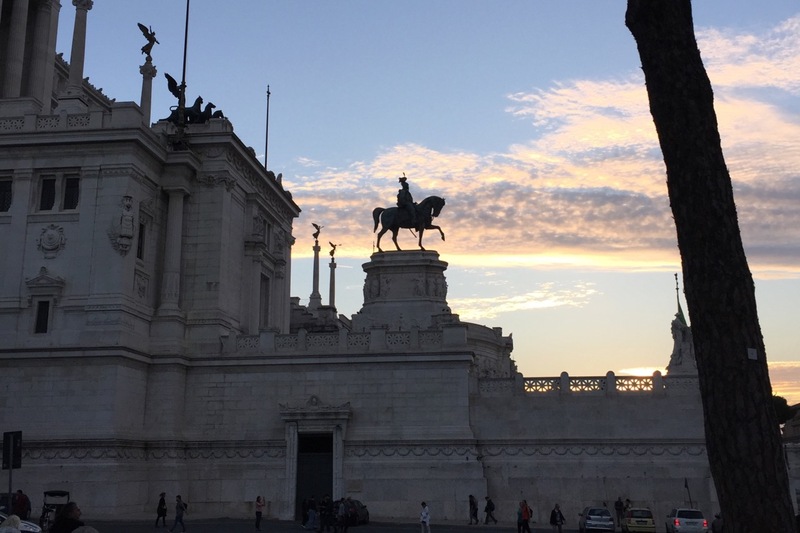 My most interesting photos of Rome are the ones I've taken early morning, or late afternoon or sunset. The light in the middle of the day is right overhead, and often does not make for much of a dramatic photo. In the early morning, the sun hits the ochre buildings on piazza Navona, making for a lovely color splash. 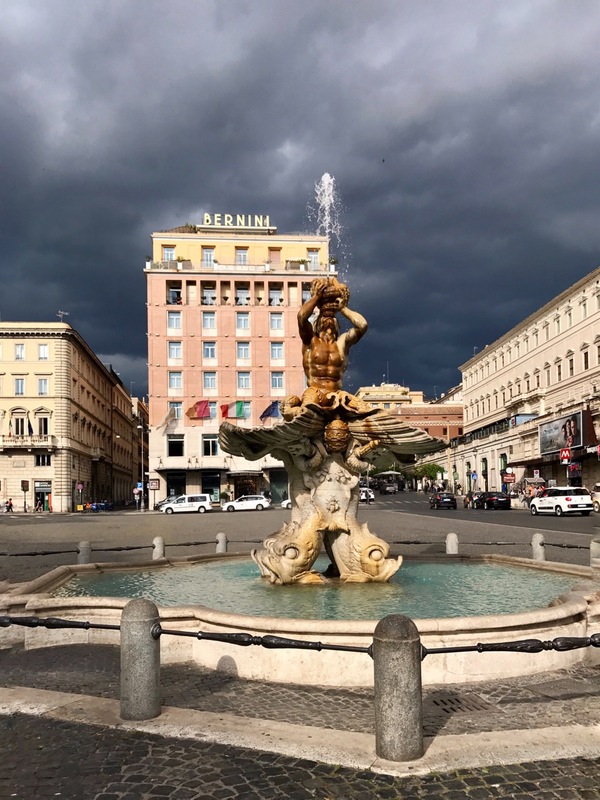 Piazza Navona is stunning at any time of day.But at mid-day, when the sun is overhead, there is no sun-glow, and there are no interesting shadows. By dusk, the sun starts kissing Borromini's dome, and from this angle, you can see how the fountain's statues take on a new warmth. 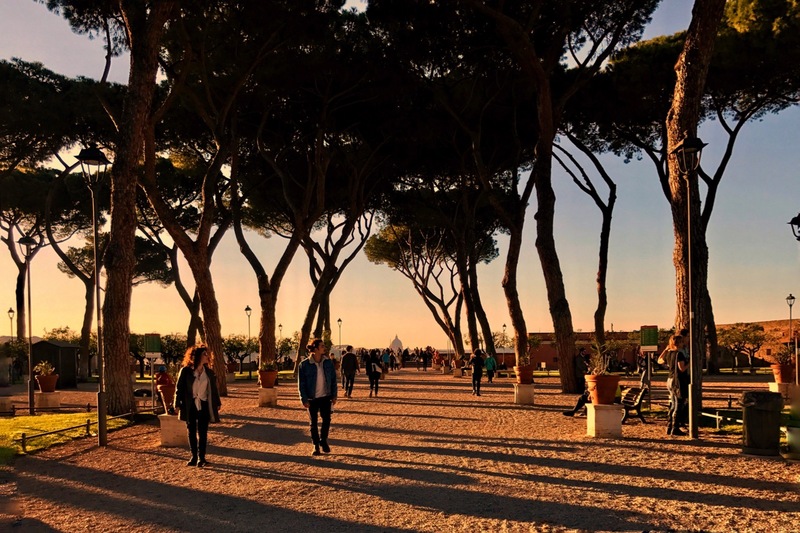 Rome has a special glow, especially in warmer months, but it’s most stunning in the morning hours, and late afternoon/evening. The skies in Rome can be spectacular just before the rain. And after the rain. 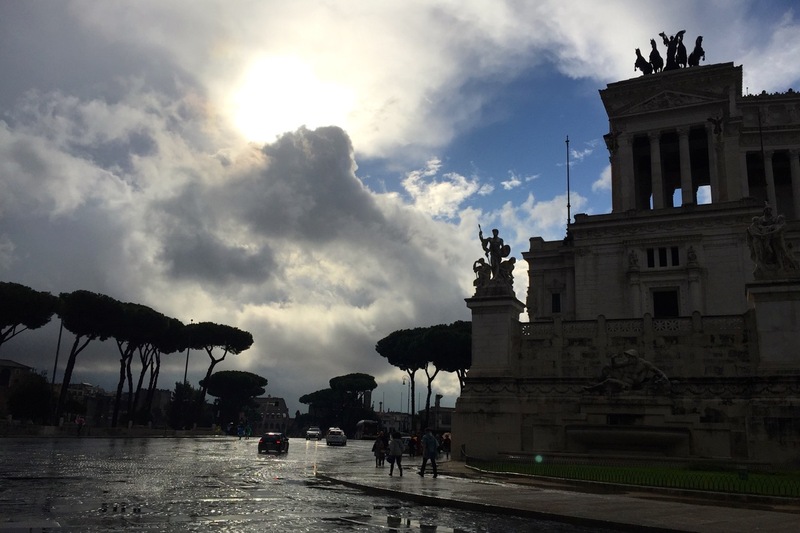 I’ve taken some of my most beautiful photos of Rome during and after a shower. If it's not raining too hard, you can even be out in the rain taking pictures if your camera is protected. But after the rain, you will find beauty all around you! 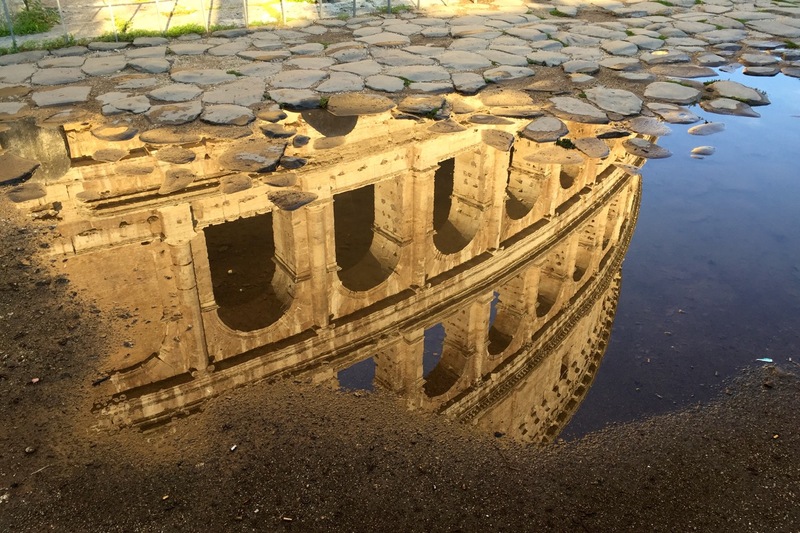 Rome's ruins, statues, fountains and buildings can often be seen reflecting in puddles everywhere after a rain storm. Just look down! 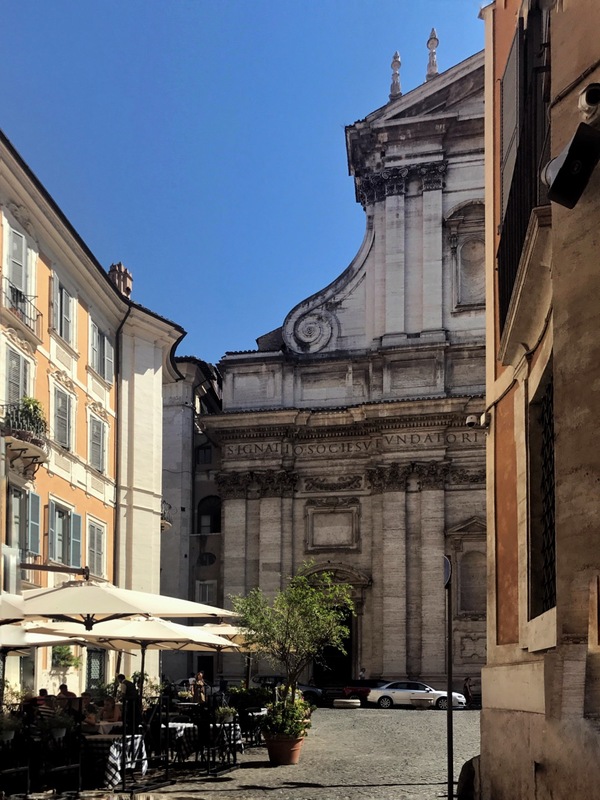 You might also try a hotel rooftop bar with views of the city, like the First Hotel, the Eitch Borromini in Piazza Navona, or my absolute favorite, the Sofitel. My absolute favorite place for drinks with a view in Rome is at the Sofitel. The sunsets are magnificent from up there! A wise and seasoned Instagrammer once advised me to always try to get shots from a different angle than just standing and shooting straight ahead. Yes, I did get down on the ground to get this shot but isn't it worth it to see the ancient Roman road leading to the Colosseum? 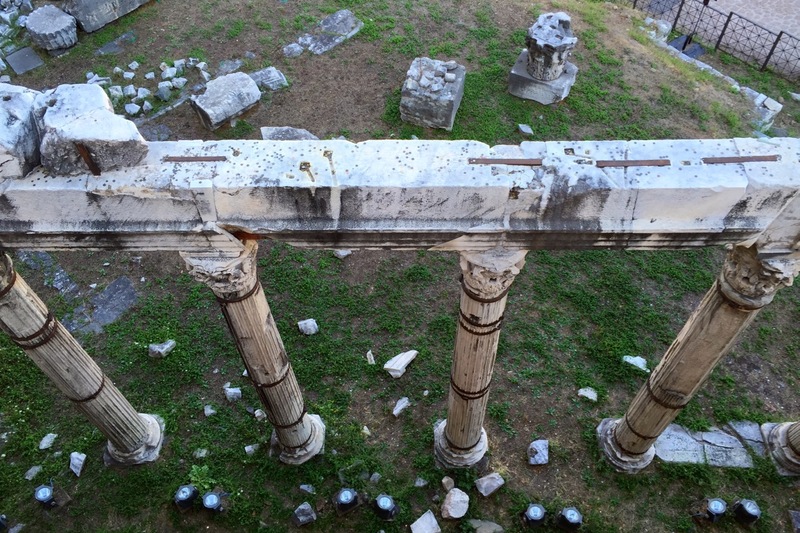 This ruin in the Roman Forum is just underneath the main lookout point from Capitoline Hill, and yet most people never notice it. With things like stairs, handrails, long tiled floors, you can get a lot more perspective if you shoot from below. Take photos of angles or just pieces of buildings, giving the impression of just coming upon something beautiful. In Rome, you can get endless shots buildings and monuments behind other buildings, creating a kind of "aha!" effect. Know where the sun will be rising/setting from a particular vantage point if you really want a specific shot. 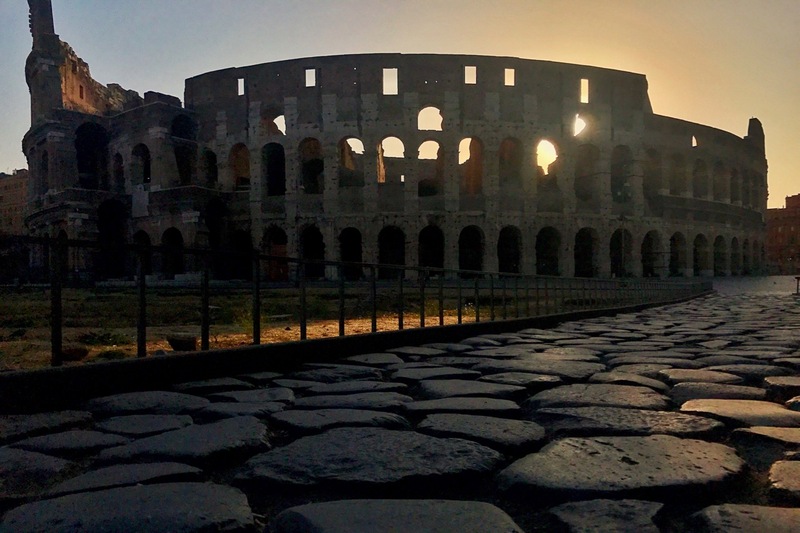 The Colosseum is spectacular at sunset and at dawn, so it's win win. But you may also want a particular shot, so you should keep in mind where the sun goes. For example, my favourite time to climb the dome of St. Peter’s Basilica is first thing in the morning, because I’m claustrophobic, and it’s easier for me when nobody is in front of or behind me. But, the basilica was purposefully made to face east, so at that hour, you get a very washed out view of the iconic shot of St. Peter’s Square. Saint Peter's Square from the Cupola of the basilica...in early morning, the view is pretty washed out. For a better photo of this square, you’ll want to go sometime after 4 or 5, depending on the season. In winter, the basilica closes at 6.30pm, which means entry to the dome is finished at 4:30pm. I go right at that time…and stay until they make me leave. The beauty of this is that the days are short in winter, and the sun goes down around 5pm, so I can get a sunset and even sparkly night shot of the square, at closing time in winter. 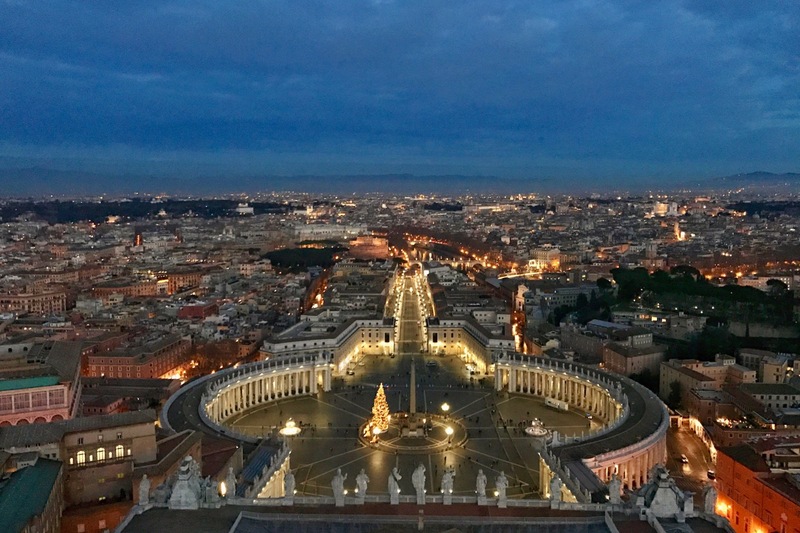 View of St. Peter's Square from the Cupola, at Christmastime, with the lights shimmering below. 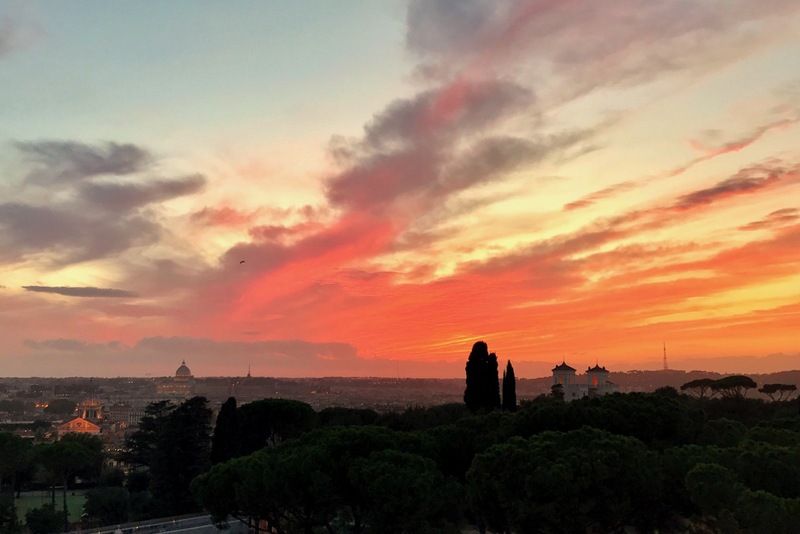 In spring and summer, the basilica closes at 7pm, so last entry to the dome is about 5pm…the closer you are to spring, the better chance you get of the sun going down while you are up there. 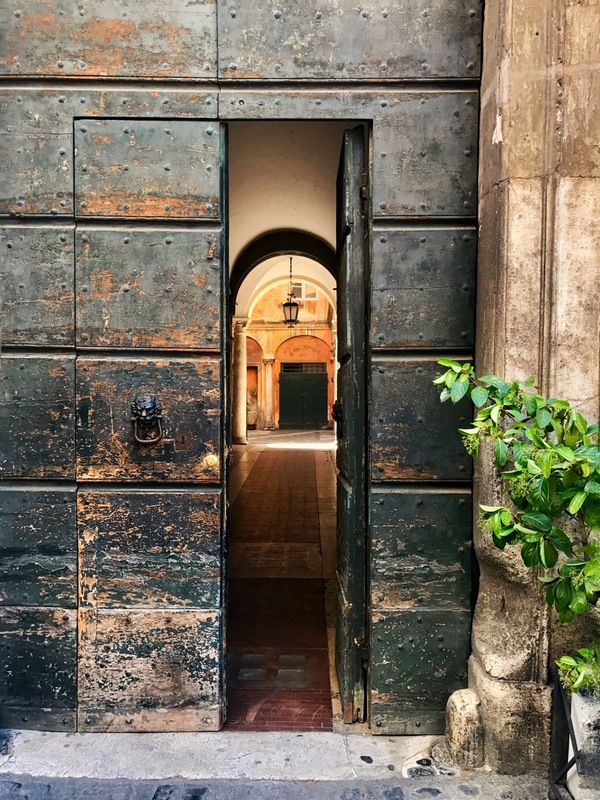 Rome is full of hidden doorways and secret courtyards...just keep your eyes open! The city is, after all, an open-air museum. Vatican, Pantheon, Trevi Fountain, you will not run out of things to see, enjoy and photograph. But don't forget to look at details, and look down.. 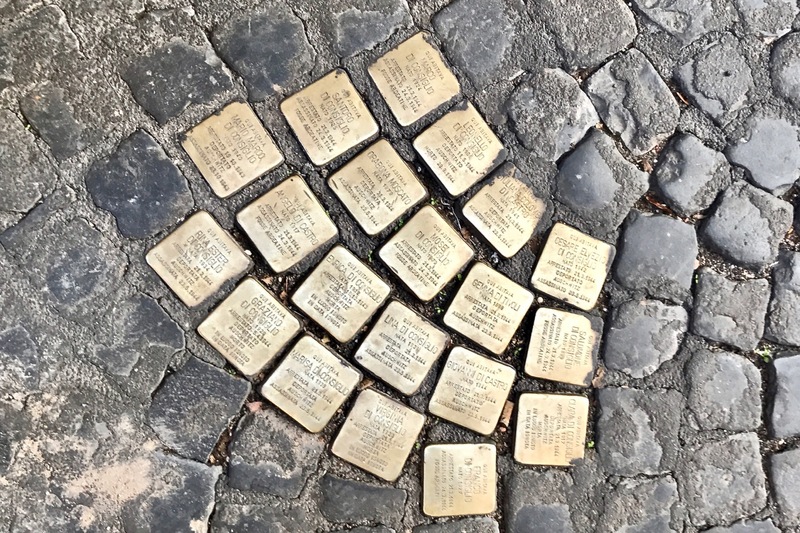 These Stolpersteine commemorate people who were forcibly removed from their homes, deported and murdered during WWII. Look down. Rome has so many of them. You should also look up, and into places you might not think of. Then, the possibilities really are endless. 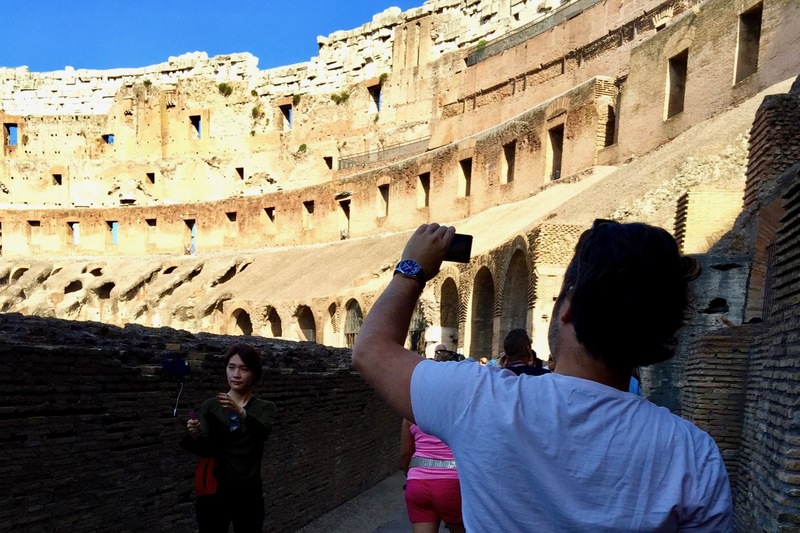 You cannot take selfie sticks or tripods into most sites or museums in Rome. In most places in Rome you can take photos, but inside churches and museums, you should not use flash. Sometimes, a special exhibit will be in place, with pieces on loan from another museum. In that case, you may notice a no-photo sign in front of THAT piece. Absolutely no photos or video are allowed inside the Sistine Chapel, although you may take all the photos you want inside the rest of the Vatican Museums, and inside Saint Peter’s Basilica. Some smart phones now, like the iPhone 7 Plus, allow you to take photos like this, with a sharp focus, but blurry background, that gives it a more "depth effect." If that is the case, you can get even more out of your smartphone pictures with this little gadget, which puts an instant wide-angle or macro lens on it. I recently had the pleasure to visit Rome with two professional photographers. We walked around at the pace they wanted, because, as photographers, they wanted to take their time figuring out the lighting, the best angle, taking many practice shots etc. 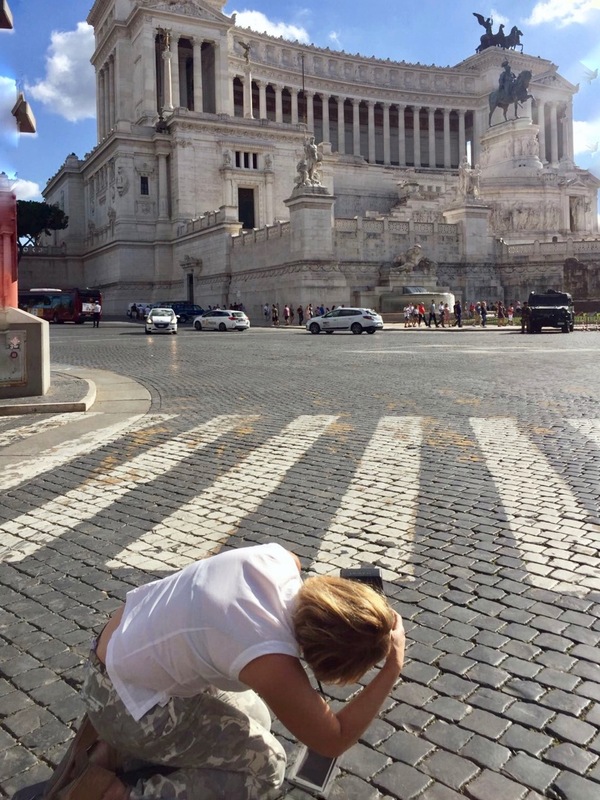 Many people take quick snaps or selfies in and around the monuments, but this is the OPPOSITE of how a photographer wants to take their shot. They need TIME to concentrate and adjust their camera. 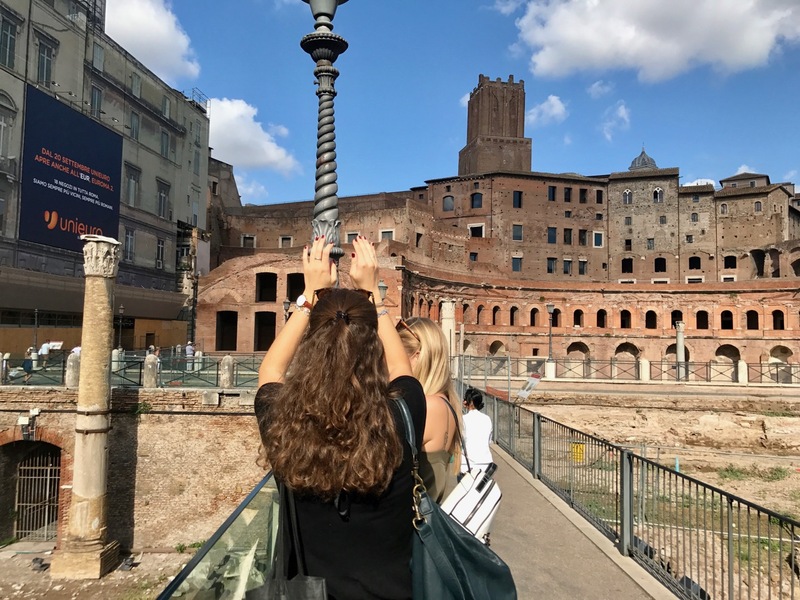 They told me to let anyone really into photographing Rome to know, that it’s NOT a good idea to take a guided group tour of the Vatican or Colosseum, if your goal is to photograph. The tours must move at a certain pace to get the group through all there is to see, usually in a 3-hour time-period. This was painful for the photographers I spent the day with, as they could not get any shots the way they wanted. hire a private guide, so you can set the pace, and inform the guide that your goal is to go slowly and take the photos you want. 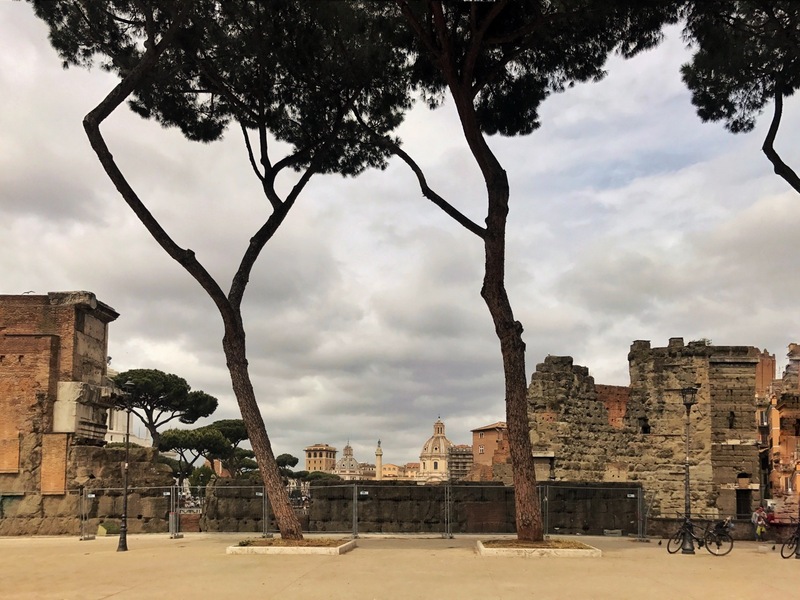 Because Rome is literally a massive museum itself, chock-a-block with beautiful ruins, art and architecture, you can often take a photo of something interesting up close, with something else interesting in the background, or vice-versa. 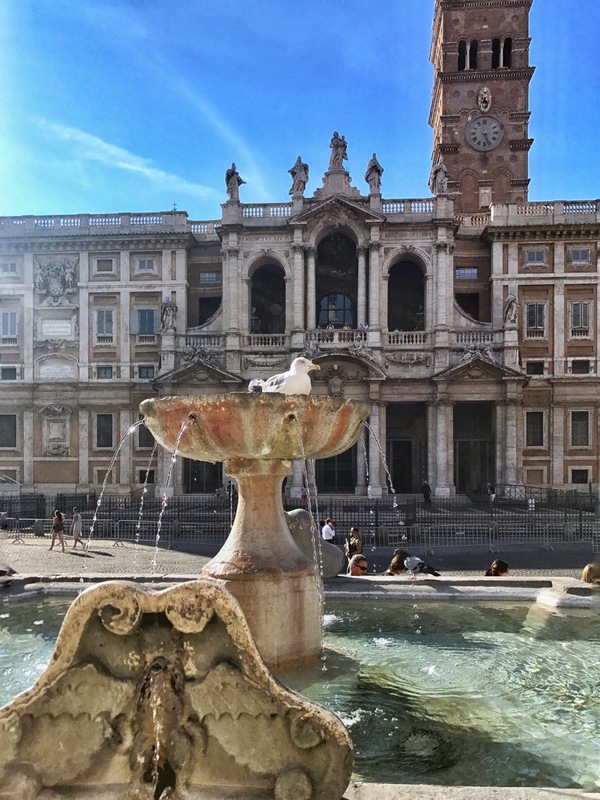 So much to see in this multi-layered photograph of a fountain, a seagull and Saint Mary Major basilica. Sometimes I start by aiming at one thing, only to realize the better shot is the whole composition, with the background as the star of the picture. So many objects can be the focal point of your Rome photos - trees, ruins, fountains, door handles. Rome is a feast for the eyes! You can change the viewpoint of the shot, by taking a picture through a gate or doorway. 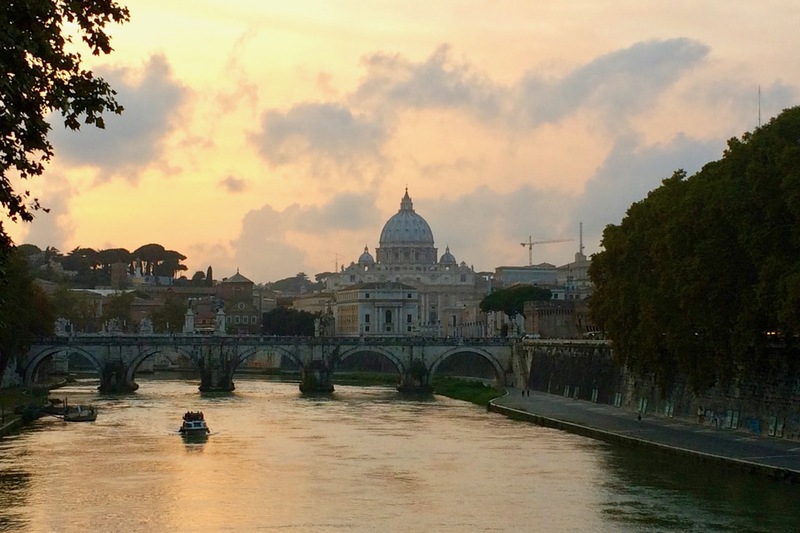 I hope you've enjoyed my photography tips for Rome. As I said, I am not a pro, but I have definitely learned a lot in my years working on this site and with various cameras, from several iterations of iPhone to my little Sony to my Canon T2 Rebel. One of the most fun tours I've ever taken was with Sophort, a company based in Austria, that has created this great new concept in photography tours around the world. 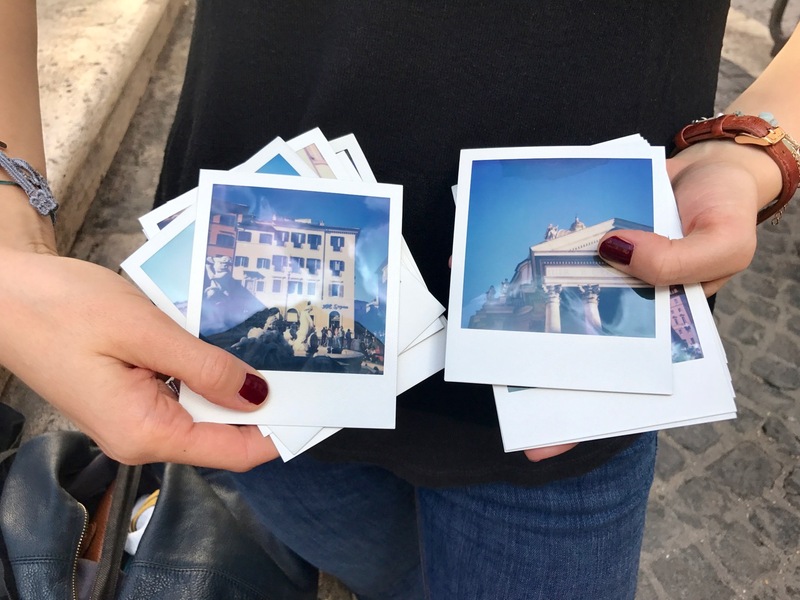 Examples of some Rome photos you can take on a Polaroid Tour with Sophort. And the Rome version is just fantastic. You go around with a Polaroid camera and take instant shots of things you see in Rome. Our guide shields the light for one of the tour participants...this is old-fashioned, fun, photography in Rome! I highly recommend this tour for the fun factor, and because it's unique...and you get to keep your Polaroids in the end! There are a few interesting tours on offer now, that focus on photography. One is a tour that shows you how to use a camera oscura. Another is a tour with a professional photographer, in which you really hone your photography skills. You can view the descriptions, costs and schedules of these tours, along with the Polaroid tour mentioned above, on this page.